This diploma programme aims to provide an introduction to the Internet law in India for those who may seek a career in the technology industry. 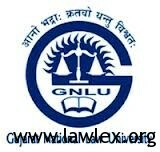 In a span of one year, you as an enrolled student would be getting a deep and complete insight of the fundamentals of Internet Law and interesting and popular subjects such as Intermediary liability, Data Privacy, Data Protection, the nuances of Online agreements, a complete understanding of the Indian Information Technology Act and also understand many case studies pertaining to Data Privacy and Intermediary liability where the Faculty of Enhelion have personally handled legal cases and legal issues of fortune 500 companies. Through the Diploma programme you will also get an insight into the legal issues related to Internet Banking, which is a growing area of Internet law in India and the world at large. This year long diploma will focus on all the aspects of Intellectual Property Law and Management. In today’s day and age, it is very important for individuals to understand the nuances of Intellectual Property and its how it can be used as an asset for the benefit of an organization/company. This course will be essential for all business managers, businessmen, students of law and business, who in their day to day affairs would be dealing with Intellectual Property. There are many diploma courses offered on Intellectual Property, but this is first of its kind in India. This diploma programme aims to provide an introduction to the law and management of Intellectual Property (IP) and innovation for those whose future career may involve the management of IP and innovation. In a span of one year, you as an enrolled student, would be getting a deep insight of not only into the fundamentals of Intellectual Property, but also an insight on how major companies around the world maintain their valuable IP assets. There are separate modules of Intellectual Property Strategies, Enforcement of IP, IP Valuation, Royalty and Licensing. ELIGIBILTY : Any student of any college, university is eligible for our courses. Please note that even working professionals are eligible for our courses. REGISTER : Register by clicking here.